Your engagement shoot is one of the coolest experiences as you inch closer towards your wedding date. It's a chance to get used to the camera, get to know your photographer and create really special images of you and your love. "But what should I wear? I'm so nervous. What should HE wear? Where should we shoot? I'm so excited! What time should we meet?..." Because I get so many of the same questions about engagement sessions, I thought to myself "Hey, I should really just write an awesome blog post for my clients to read." And I think that this will help any couple to prepare for their engagement session - even if I'm not your wedding photographer! So let's break this Engagement Session down. Now, what do these images have in common? A vast field, golden light, soft flowy wardrobe (be still my heart!). This is the key to creating your dream engagement session. Find what you love, list what you love, and then build your shoot incorporating those elements to reflect you guys as a couple! I love when my brides- to-be want to elevate their shoot with a soft dress or gown. Different fabrics shoot completely differently so gravitate towards chiffons, silks - anything that moves. This will create movement in your images... which is like... Theeee most gorgeous thing. Some men love to dress up. A lot of men don't - or they're not sure how to go about it. Give them direction. Tell them it would mean the world to you if they dressed up a bit and that the images will be that much better because of him. Most importantly I want you guys to be comfortable and feel like yourselves. I want you to be able to look back 20, 30, 40 years from now and cherish this special session together. Neutrals baby. They're not only classic, but they reflect light giving your session an airy, romantic feel. This compliments skin tones and makes you two looks ahhhhmazing! This is such an awesome opportunity to test out your trial hair and makeup for your wedding day. 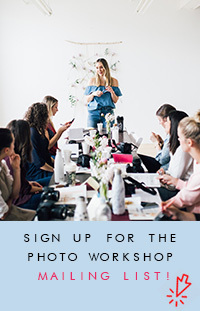 This is of course - totally an option - but many my brides like to take advantage of a trial session with their hair and makeup team to see what their makeup will look like - and photograph - on their big day! Cool architectural spaces like cool coffee parlours or historic buildings. Greenhouses or indoor spaces with greenery like a conservatory. My personal preference is to shoot outdoors. I feel like nature brings out such a fun, adventurous energy to the shoot. It's also relaxing and often allows us to watch the sunset together. The best third wheel is one with a camera! In photography, everything is light. This means we shoot in the evening at golden hour - and it's absolutely magic! Our session will likely last about 2 hours from start to finish and during that time we experience a range of different light. I hope this helps all of you recently engaged babes navigate your prepping for your engagement session!